Reno is also an expert in Loan Modifications, which are permanent changes in the terms of one or more loans form a mortgagor. With his aid, homeowners can have loans reinstated at rates they can better afford. His knowhow and dedication will help you reach a more favorable agreement than what your lender is likely to offer you directly. All images Â© The Law Offices of John A. Reno Esq. 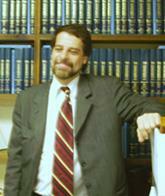 Do you have any experience using The Law Offices of John A. Reno Esq.? If so, please rate your experience and let others hear about it using the form below.